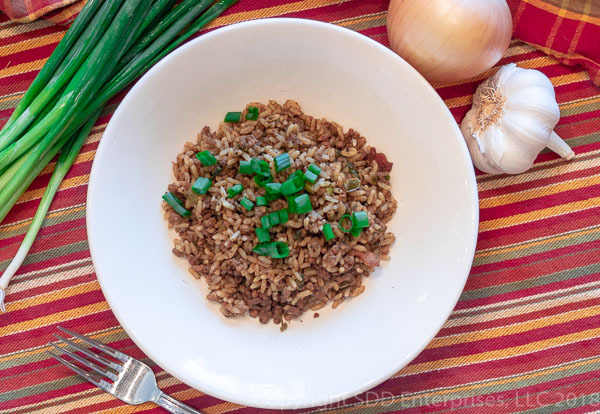 Dirty Rice is a traditional Cajun/Creole dish which combines browned meats and liver with onions, peppers, Cajun/Creole spices and cooked white rice. It gets it’s “dirty” description from the color of the browned meats and particularly the chicken liver. Dirty Rice is too bold and delicious to label it just a side dish, but it is a very popular accompaniment with meats, fowl and seafood. 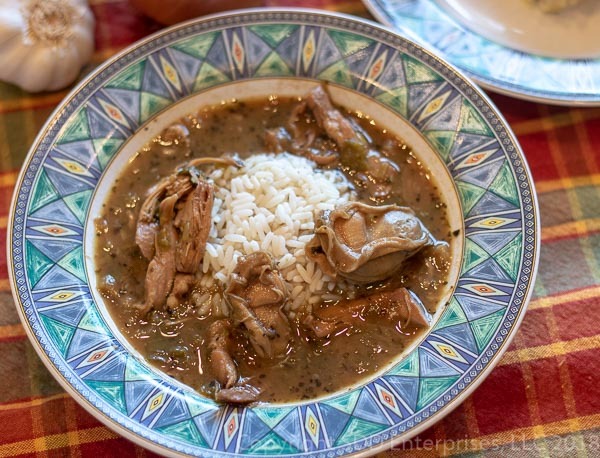 A version of this dish, and there are endless versions, will always be found at family gatherings and holiday celebrations in South Louisiana. 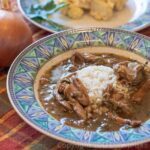 A traditional Cajun/Creole dish which combines browned meats and liver with onions, peppers, Cajun/Creole spices and cooked white rice. It gets it’s “dirty” description from the color of the browned meats and particularly the chicken liver. Dirty Rice is too bold and delicious to label it just a side dish, it is a very popular accompaniment with meats, fowl and seafood. A version of this dish, and there are endless versions, will always be found at family gatherings and holiday celebrations in South Louisiana. Place chicken livers in water to simmer until tender, about 20 to 30 minutes. Let them cool then give them a rough chop and set aside; reserve the cooking water. In a dutch oven, melt the bacon grease over medium high heat. Maintaining a medium high heat, brown the beef and pork in the bacon grease; when the redness is gone (about 5 minutes), add the chopped chicken livers and mix well; cook together for another 5 minutes. Add the yellow onions, bell peppers and celery to the meats and saute until the onions are starting to brown, about 8 minutes. Stir in about half the green onions and then the garlic and continue to sauté for a couple of minutes until the garlic is aromatic. Add the creole seasoning and the Worcestershire sauce and mix well, continuing to sauté. Add the stock and a little of the reserved water from boiling the chicken livers; mix together well and bring to a high simmer, uncovered, until the liquid is reduced by a little more than half-about, 20 to 30 minutes. Mix in the cooked rice and blend well to incorporate all the ingredients. Taste and add kosher salt and ground black pepper to taste. Mix in the parsley and remaining green onions and cook on low another few minutes uncovered until all the liquid is absorbed. Sprinkle some of the reserved green onions on top when served. 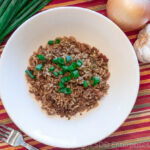 For this recipe I use a combination of ground chuck (80/20) and ground pork. If you prefer to use one or the other, that's fine. The chicken livers are an essential part of Dirty Rice. Many recipes call for using the gizzards also, so that is certainly an option. Don't go overboard on the livers because they can certainly take over the flavor profile. They should be a subtle background flavor, like all the other ingredients. Remember that most commercial creole seasonings and commercial stocks have high salt content, so make sure that you taste as you cook before you add any more salt. 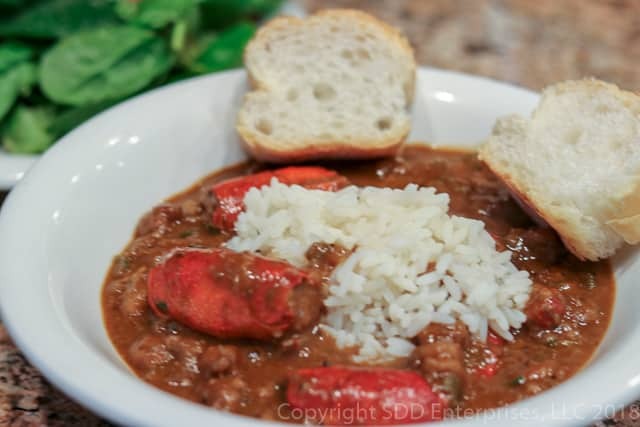 Crawfish Bisque is the Dean of Cajun cuisine. Traditionally prepared late in crawfish season as a way to use up all the extra crawfish. Preparation is usually a family affair, as cleaned crawfish heads are stuffed with a filling made from ground crawfish tails, vegetables and spices. These stuffed heads are added to a rich bisque made from the trinity cooked down in a roux with herbs and spices and a rich crawfish stock. It doesn't get any better than this! 2 tablespoons creole seasoning plus some for the tails. Kosher salt and pepper to taste. Set aside about 1/4 cup of the crawfish tails. Place the remaining tails into a food processor and grind until fine, place in a bowl. Take the reserved crawfish tails and roughly chop them into small pieces, place them with the ground tails. Place the onions, celery, garlic and parsley in the food processor and chop until very fine. Place the vegetables in the bowl with the crawfish and make sure to include any juice generated by the food processing. To the bowl add the eggs, creole seasoning and pepper. Add the breadcrumbs, starting with about 1 cup. Mix all together with your hands. Add more breadcrumbs as needed to make sure it holds together. Stuff the crawfish heads with the filling. 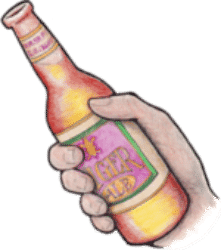 Starting on the wider end of the head’s opening, use your left index finger to spread the shell open, place filling into the head and stuff it tightly with your right index finger. Alternately, you could forego stuffing the heads and form the filling into small balls known as boulettes. Place all the stuffed heads on a baking sheet and bake in a 400 degree oven for 15 to 20 minutes until lightly browned. Set aside. Place the tail meat in a bowl, sprinkle with creole seasoning and set aside. Place 8 cups of crawfish stock in a stock pot and warm until almost boiling. Heat the vegetable oil in a large cast iron dutch oven over high heat. When the oil is shimmering, add the flour and whisk constantly until you have a medium roux. Add the trinity (yellow onions, celery and bell peppers) into the roux and stir constantly until softened, about 8 minutes. Add the garlic, about 2/3 of the green onions and the creole seasoning. Stir until blended and becoming aromatic, about 2 minutes. Add the crawfish tails in about four batches and the tomato sauce, stir to mix well. Making sure the stock is about the same temperature as the roux mixture, slowly add stock to the roux and crawfish, a ladle at a time, stirring to completely blend the stock into the roux mixture before adding the next ladle. Continue this, one ladle at a time, until about half of the stock has been added, then you can add the balance of the stock and mix together very well. Make sure there are no lumps. Bring the bisque to a high boil, reduce heat to a medium simmer and let it simmer for about 15 minutes uncovered. Add the stuffed crawfish heads and return to a boil. Once it boils, lower the heat to a simmer, cover and continue to simmer for about 45 minutes to 1 hour. Stir often to keep the heads off the bottom of the pot. Add some of the reserved stock if it gets too thick. After 45 minutes add the parsley and stir well. Serve in a bowl over a scoop of white rice, making sure to get some of the stuffed heads in each serving. Sprinkle chopped green onions on top. If you don’t have heads, you can form boulettes- small balls made from the stuffing mix. 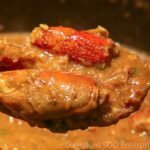 If you don't have access to crawfish stock, you can substitute seafood, chicken or vegetable stock. Cut the prep time down-get some help stuffing the heads-that's where the time is involved! Be careful adding salt to this without tasting it. 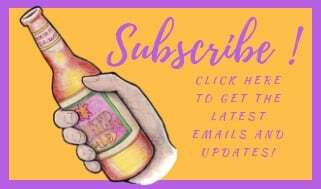 There will be some residual salt from the crawfish boil if you are using reserved shells to make the stock, as well as potentially salt in the commercial creole seasoning.